Many user of iPhone 7 are facing speaker volume issue after updating to iOS 12.2. 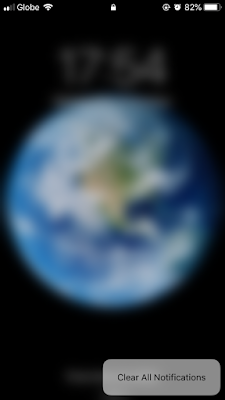 Speaker sound is now very faint since the update to iOS 12.2 and it was working normal prior to the update. Some users report that after iOS 12.2 the volume seems to go up and low randomly. Fix 1: Plug headphones into your device If you can hear sound through the headphones but not through your device's speakers, unplug the headphones and clear dust or debris from the headset port on your device. If the iPhone thinks that earphones are plugged in, the music won’t play through the speaker. Follow the steps to get rid of it. This can be due to dust in the ports. Step 1: Press the volume up key and if the iPhone is in Headphone mode then “Headphone” will be displayed on a pop-up. Step 2: Check port of iPhone by flashlight and if you see anything then clean it with brush carefully. Many iPhone 6s /SE user are facing fast battery drain after update to . 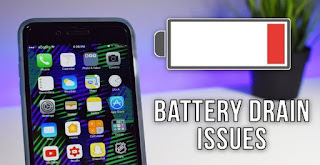 The battery drain in iPhone 6s on iOS 12.2 started to happened just after the update and battery is drain really fast and sudden for some iPhone users. Battery drain in iPhone 5/6s is really fast right after 12.2 update and it was never the case with iOS 11 or iOS 12. The battery drain really like it went from 68 % to 44 % within 10 minutes viz is like 1% drop in battery in one minutes in the iPhone 6s. Even when tested with minimal usage/standalone the battery is still going down really fast like 30% in just one hour on iPhone 6s. Before the update the battery easily lasted 1 - 1.5 days with usage. When checked the battery looks fine and ~90% to normal peak performance according to the battery stats function. Normal restart or low power mode is also not saving battery drain in iPhone 6s. iPhone XS Max users keep complaining about iPhone XS Max dropping calls regularly. This is not only problem with iPhone XS but many users are facing poor signal issue in the phone. Call drops after connecting for a few seconds. When contacted the service providers like Verizon etc, they are not able to find out anything that why iPhone XS Max keeps on dropping calls. Even when reboot the iPhone and it will works for a little while and suddenly starts dropping calls again. 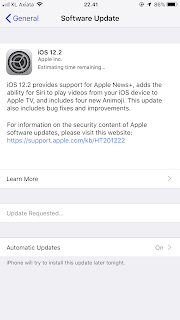 Many of iPhone users after initializing update to latest iOS 12.2 update are facing issue in updating to the software. As soon as the iPhone starts to update it remain stucked at “Update Requested”.To update the iOS to 12.2 version you should go to General in settings, clicked on iOS12, followed the prompts & enter iCloud password, and since then it says "Update Requested ..."
Due to this issue many users can not download iOS 12.2 and users are unable to cancel the iOS 12.2 update as it is stuck at update requested message on screen. This is very annoying as in some casesiOS 12.2 update is pending from days. Many users after upgrading to iOS 12.2 are facing issue with notification while playing video. In the iPhone 7/8/XS on iOS 12.2 while watching any kind of video and receive a notification that video will pause when notification comes. This is annoying while watching any video. Since there are no update from Apple yet but a workaround to listen to music without audio notifications. 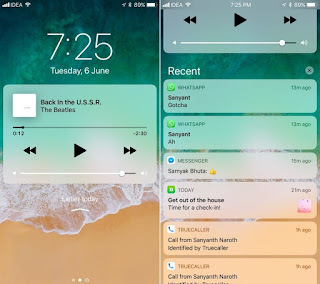 -You can try to switch to silent mode using side button, and when all the notifications comes up, hopefully they no longer interrupt the music. Many iPhone X user usually find themselves in trouble after accidentally deleting important conversation in text message/ SMS. Some of the message thread are too long or with attachments like picture or other documents. 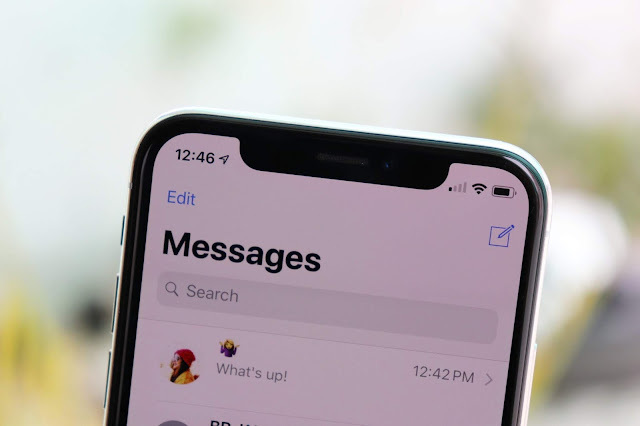 The latest iPhone XS on iOS 12 also does not provide any direct way to recover deleted text message thread on iPhone like ‘shake to undo’ feature also does not help in recovering deleted text message on iPhone XS. 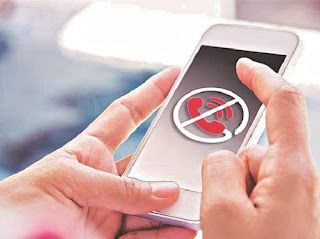 There are lots of third party apps that claims to help to recover deleted text message from iPhone but most of them are too costly and not guaranteed to work on every iPhone. There are few basic troubleshooting steps that you can try to recover accidentally deleted message threads from iPhone.